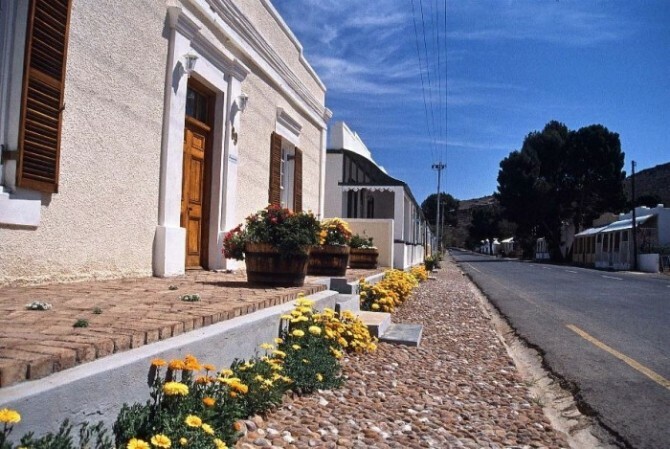 Victoria West, Northern Cape which was established in 1843, prides itself in South African hospitality, tradition and a long and well-preserved history. As such, tourists will not only find a wealth of beautiful Victorian houses, but also the last remaining Art Deco Cinema in South Africa and one of only three regional museums. Fans of that most traditional of South African pastimes, Rugby, will additionally find much to admire in the Mannetjies Roux’s private collection of Rugby Memorabilia and photos. Chances are good that the tourists who stop to see such a display are the same ones travelling to one of the many game farms that offer hunting packages in the area. If this is indeed the case, then the Victoria Trading Post that houses this collection serves as perfect place to stock up the customary weekend reserves.